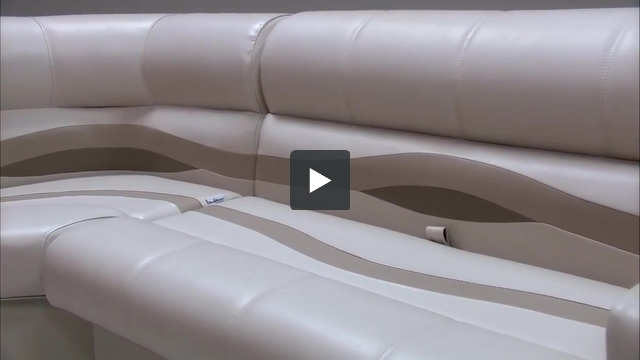 These pontoon boat seats make up our Premium PRG90R pontoon furniture set. I am interested in purchasing but the setup of the furniture is backwards from my pontoon. Would you have the opposite? I'm sorry but we do not have that exact pontoon seating arrangement listed on our webstie. You can add the indivual pontoon seats to your cart to get the exact pontoon setup you woud like. 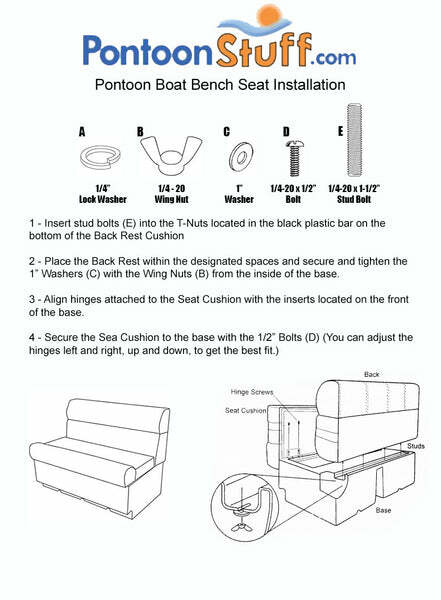 You will want to add the following items: 55" premium pontoon bench, 28" corner pontoon seat and a left pontoon arm rest. Our pontoon seats are priced the same if bought in a group or indiviually. Our Pontoon Boat Seats are 30 inches in total height. This is from the bottom of the Plastic Base to the Top of the Back Rest Cushion.